A high achiever, Deborah consistently finished her year in the top 10 of a sales force of nearly 300 executive reps. Eventually, she directed her attention to the non-profit world, where she grew four different organizations – even as she pursued an advanced degree in Leadership and Organizational Development. In the midst of participating on two international boards and growing her third organization, she “pushed the gas pedal” and found nothing but fumes. Her passion for growth outran her physical stamina, a common occurrence for high achievers. She’d burned out. She dug into understanding why high achievers burn out. Using neuroscience, productivity skills, positive psychology and team building Deborah cracked the “struggle code” and today she helps entrepreneurs and small business owners do the same, so they can earn more and stress less. In this talk, Deborah breaks down four myths that lock high achievers in struggle and reveals the mindset, strategies and actions to experience greater ease in your business – even as you accelerate results. 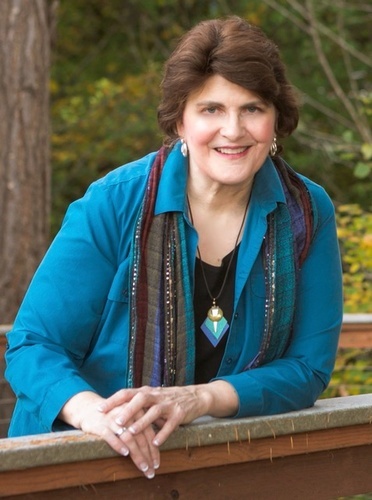 Deborah is a speaker, coach and author. Whether speaking to a lunch n learn crowd, a conference or online, she provides her audience with the tools to recognize their brilliance and design actions that unleash their potential. Deborah’s degree in biochemistry laid the foundation for her first career in diagnostic sales. Years later a memorable experience with a biotech firm led her to shift gears and embrace a second career in the non-profit world. Five years ago, her entrepreneur’s heart prevailed and today she integrates an ocean of experience to help entrepreneurs Go BIG Without Burnout. The first Thursday of each month from 11:30 a.m. to 1:00 p.m.